In 1985 The Scientists, Kim Salmon’s Australian post punk band were stranded. On the eve of a major UK tour, their talented, yet difficult drummer Brett Rixon walked out on the band. A number of name “Rock” drummers were hired to replicate Rixon’s parts, however, it never sounded like The Scientists. The last thing this band wanted to do was “Rock”. In 1985, The Scientists’ sound was Dark, Primal, Beat Driven, Minimal and Swampy. As important as the Beat was, it couldn’t overpower the band. The playing had to be Metronomic and Restrained. At this time, the band’s tour manager Leanne Cowie secretly purchased Rixon’s drum kit and proceeded to learn the instrument through The Scientists’ repertoire. After a few more failed auditions with what would be viewed by any other band as more than worthy applicants, Leanne was finally asked to join the band. Instantly, The Scientists sounded like The Scientists. With Leanne as Rixon’s replacement, the band was able to tour and record a little longer. However, even with this vital transplant, the band’s days were numbered and by 1987 it was no more. For the following two decades, Salmon continued to write, record and perform releasing dozens of acclaimed albums with groups as diverse as the Surrealists, Beasts Of Bourbon, Antenna, The Business and the Darling Downs. Moving between Art Rock, Soul, Pop, Punk, Jazz, Electronica and Americana. Meanwhile, The Scientists’ legend grew and the band was being name checked by what would appear to be the entire 90’s Alt-Rock scene. From Mudhoney (who Salmon recorded and album with in the mid 1990s) to The Jon Spencer Blues Explosion, many have been vocal about their love of all things Scientific and their influence can still be heard in modern Indie Garage-Punk. Classic Scientists tracks “Swampland”, “We Had Love” & “Set It On Fire” have now become staples. As is always the case in rock mythology, it took twenty years of being broken up before anyone would offer The Scientists money to play a show. The newly reformed Scientists (with Leanne on drums) played festivals throughout Europe and Australia. The band finally made their American live debut in 2010 with a one-off show at New York’s All Tomorrow’s Parties festival with the also recently reformed Iggy & The Stooges. At last, American fans were allowed to experience The Scientists’ dirty, swampy, fucked up punk-mess in the flesh. The Scientists reformation at the beginning of the decade reignited Salmon’s interest in all things Dark & Primitive. Deciding to go with it, Salmon and Cowie entered a Melbourne studio and within a few days, True West was born. Although Kim & Leanne is a reunion of sorts, True West is not a throw back or a “Happy Days” version of the mid 80s. There is definitely no hairspray and no paisley. Yes, the music is Dark and Primitive but it is most definitely a record made in the now. It would be ridiculous to pretend the last three decades didn’t happen! The material on True West has echoes of the classic Scientists’ Swampy sound especially in the tracks “Freudian Slippers” and “Get A Hold Of Your World”. And “The Science Test” is another exercise in Minimalism. Salmon plays one note and Cowie plays one beat. It also has an accompanying video is just as strange. “Carry On Baggage” recalls classic Nuggets Garage Punk. They also manage to throw a Rolling Stones cover in “Dead Flowers”. But, you have never heard the Stones do anything like this. The album also contains a few hip – hop moments, glam rock and funnily enough a couple of “Rock” songs. 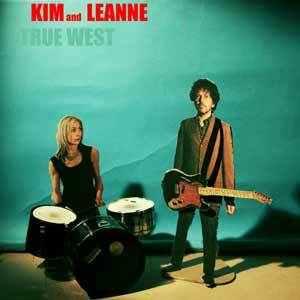 Since True West’s release in Australia late in 2014, Kim & Leanne have played a number of shows and the reviews for both the live show and record have all been as you would expect. Fans and critics have taken to Kim & Leanne. 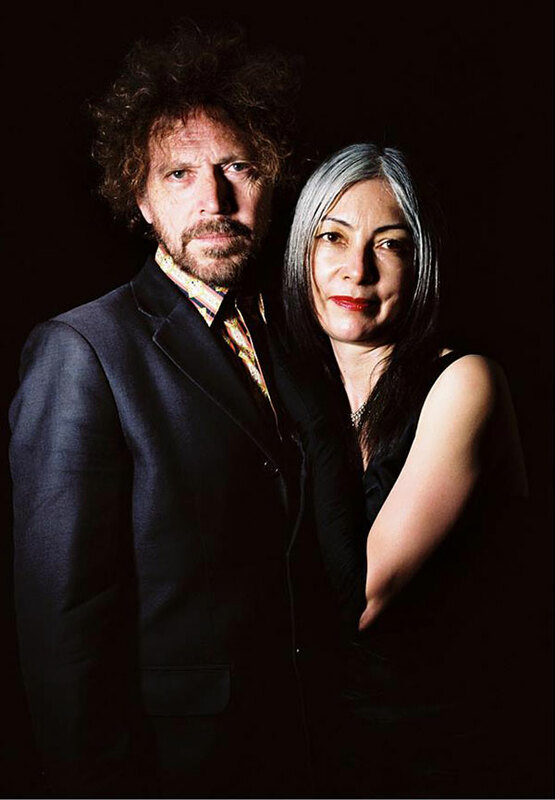 Check out the official video for “The Science Test” from the new KIM SALMON project KIM & LEANNE, from the True West LP out soon on HoZac!